Magnetic resonance imaging (MRI) of the brain allows us to study the morphology and function of the brain in a noninvasive way. The rapid introduction of high-resolution MRI scanners has been accompanied by a constant improvement of semiautomated statistical methods to quantify and systematically compare morphological and functional differences of diverse brain structures. These methods provide a powerful tool for characterizing individual differences in brain anatomy, connectivity, and functionality. Both structural and functional brain measures have been associated with cognitive, affective, and behavioral measures. Brain imaging genetics is the study of the effect that genetic variants may have on brain structure and function. Studying how genes can affect brain development and cognition has helped us to understand better the underlying biological mechanisms of cognitive traits and brain disorders. Genes associated with brain structure are of importance for cognitive functioning; and vice versa, genes associated with cognitive functioning are also of importance for the development of brain structures. This chapter provides an overview of the most commonly used imaging techniques to study brain anatomy, connectivity, and functionality. 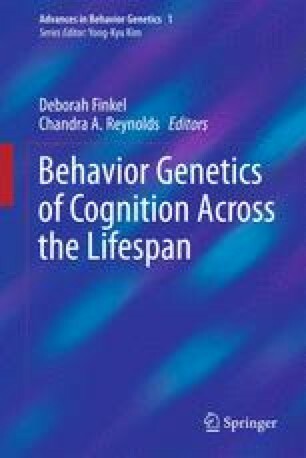 It also reviews how neuroimaging techniques have been used to elucidate the development of the brain across lifespan and its relation to cognitive function. Finally, it reviews some of the most consistent findings on the genetics of neuroimaging measures and the effect genetic variation can have on the brain in relation to cognition and in some neuropsychiatric disorders such as Autism, ADHD, Schizophrenia, and Alzheimer’s.